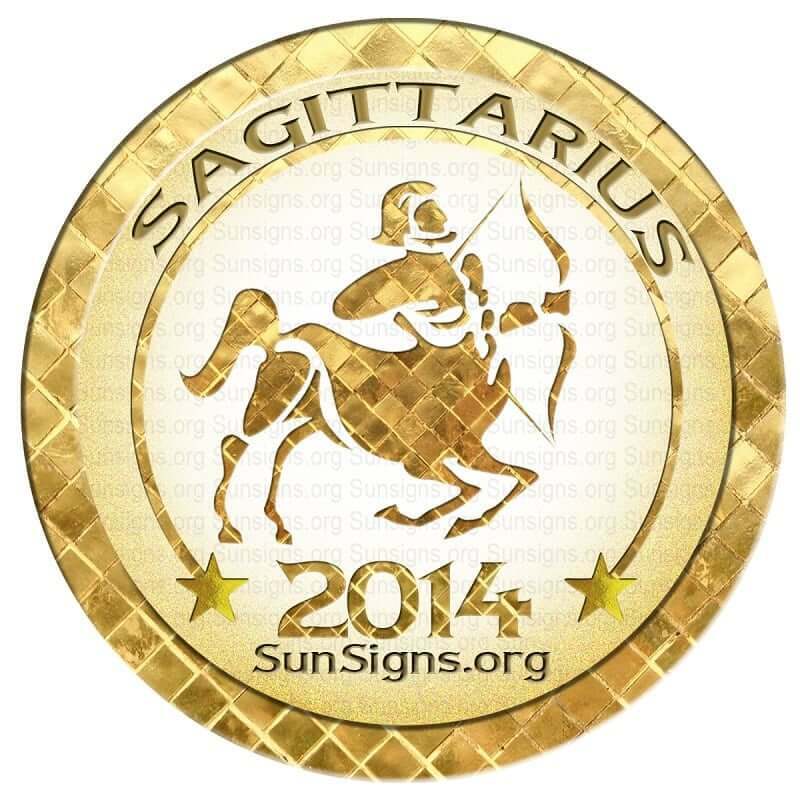 Sagittarius horoscope predictions for 2014 forecasts that, you will bear down on your work and home life in 2014. This will be a hectic year for you in all aspects of your life. Jupiter in your house of money is helping you to increase your wealth and in updating your contact list. This influence will be with you through mid-July. Be judicious in the secrets you keep. Learn to relax and evade stress. The ideal time to travel for Sagittarius zodiac people in love is July 24. Your significant other could plan a getaway about August 18 or September 20. In a love relationship you will feel an especially strong link on that day. Could improvement in relations be in your future? It is forecast that a holiday in December 2014 may not be successful. In October 2012 Saturn crossed into your house of secrets where it is still present. You will have the responsibility to know what to keep private and what to discuss and this will be difficult to decide. Secrets For the wrong reasons have the ability to cause serious trust issues. Your social world may be somewhat limited though present according to the 2014 Sagittarius horoscope. Your dearest companions will be with you Sagittarius but in a crowd you feel apart. A short vacation may be beneficial as you need to guard your health. A secret such as pregnancy may become known. Perhaps you are looking to buy land or real estate. Travel either domestic or foreign is possible. Through mid-July Jupiter is in the house of travel for Sagittarians. There are opportunities for an exceptional vacation in 2014. A job that has not been fully completed may still be ongoing in 2014. It is predicted for this year that you must guard against over working. Publishing is an area for you to be working in any of its forms. The results of a court case will be favorable. Some Sagittarius star sign people may choose to exercise their curiosity through education. Sagittarius 2014 financial astrology predictions indicate the possibility of an inheritance or other cash windfall. Taxes may cause some real concerns. Stock-market speculation is likely to be beneficial. A selection of ethical stocks would be appropriate. Your ability to connect product to user will come back to you many times over. April 18 will be a day that may transform your financial life. June 18 and May 6 would be suitable dates to proceed with a business partnership. Saturn retrograde may cause delays in your progress from March to July 20, 2014. You may need to take time to reflect, and withdraw so that you may be pampered to lighten your load. The weight of the world seems to be on your plate. Issues with people who can help you are possible. Past decisions may haunt you and expert advice may be required. While Sagittarians in general have a broad comprehension of others you never see how you make your own life difficult. You easily tend to get addicted to smoking or drinking. Do not let any bad habits become a part of your life. If you wish to know how the next year 2015 will turn out for you, take a look at the horoscope 2015. January is a month for taking care of relationships. February will be a month of changes in career and family life. March will see a delay in career decisions. It is best to relax now. April will be a happy and transformational period. In May you will be financially stable. June will see you changing jobs. Health will be difficult. July will be a happening month for romance. Finances will improve. August will be a materialistic month. You will be attracted to wealthy people. September will be a month of entertainment and partying. October is a month for contemplation and planning. You will have to make major decisions when it comes to work and friends in November. December will be a month for romance. Avoid traveling during this time.